SERVPRO can store and dry contents off-site to preserve their appearance and functionality after water damage. We are here for you 24/7, call today. Commercial water damage can be disruptive to a business, especially one based in the service sector such as an orthodontics office. It can be chaotic to cancel and reschedule much-needed appointments, not to mention patient unhappiness at having their schedules disrupted. Fast action for cleanup is the key to making both the business owner and their clients happy. SERVPRO was called to mitigate commercial water damage in a Charleston orthodontics office when a water supply line to a dental unit ruptured overnight. The water ran into several treatment rooms in a single section of the office. Our technicians arrived on site within hours of the initial call and immediately got to work extracting the water so the practice would have as little downtime as possible during cleanup. Multiple technicians used portable pumps to remove the water damage in the patient rooms so the drying process could begin as quickly as possible. Once extracted, technicians used moisture detection equipment to verify there was no residual moisture under the tile floor. The baseboard under the supply line was removed to allow for airflow behind the wall cavity. The chairs and stools in the patient rooms were placed up on blocks to dry in place. Drying goals are set by measuring the moisture levels at unaffected areas of the property. Air movers and humidifiers were set up to quickly dry the rooms and lower the air quality to meet the predetermined levels for dryness. After drying, the final stage of restoration began so the orthodontics office could reopen for business. Our technicians clean the rooms affected by water and ensure they were disinfected and deodorized to meet sanitary standards for seeing patients as soon as they reopened for the day. 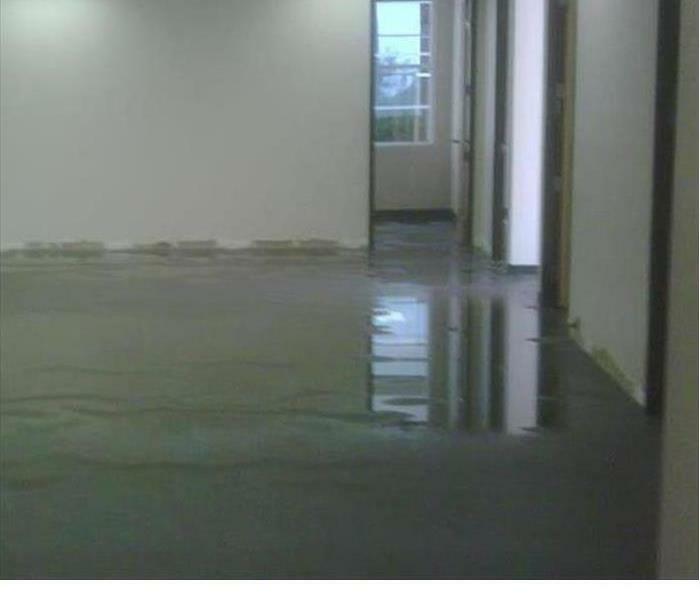 Commercial water damage should be addressed professionally to avoid disruption to your business. Our services are available 24/7 when you contact SERVPRO of Downtown Charleston at (843) 577-2470. Check out the 2019 Seasonal Recreation Guide, click here for more information. Let our IICRC technicians address contamination in your home through our experience, training and specialized equipment. We are available to you 24/7. When floods affect your property, there is a need to take immediate mitigation steps that help stop further damage and restore preloss conditions. Flood removal is a complex process but following the right procedures improves the results and shortens the period it takes. We offer professional mitigation services in Charleston. One of the main issues to address during flood removal in Charleston properties is contamination. As floodwater flows over open spaces, it collects different contaminants including biohazards such as raw sewage and dead animals. It also dissolves insecticides, and other chemicals then deposit them in the affected homes. Our SERVPRO technicians take several measures to address contamination. We spray EPA-registered disinfectants directly into affected areas to deal with pathogens. We also create containment zones where the need arises restricting the spread of contaminants to unaffected areas. Floodwaters leave different types of debris in the affected areas including silt from outside and the materials it damages inside the house. Removing all the debris is crucial because it also makes it simpler to carry out other restoration steps. Removing debris is mostly a manual process, but it requires caution because some of the materials can be hazardous. Our SERVPRO technicians wear PPE, Personal Protective Equipment, like full body suits, rubber gloves, and boots before shoveling out debris. Having the necessary safety equipment helps them work faster. Removing pools of standing floodwaters from the house is essential, but it can take time. Proper disposal of such contaminated water is also essential to ensure compliance with regulations from local or federal authorities. Our SERVPRO technicians use truck-mounted water extractors, and submersible pumps to remove standing water fast. Our water extractors also have storage tanks that can hold the water to ensure it is disposed of properly. When flood damage affects your property, call SERVPRO of Downtown Charleston to help with removal restoring it to its preloss state. 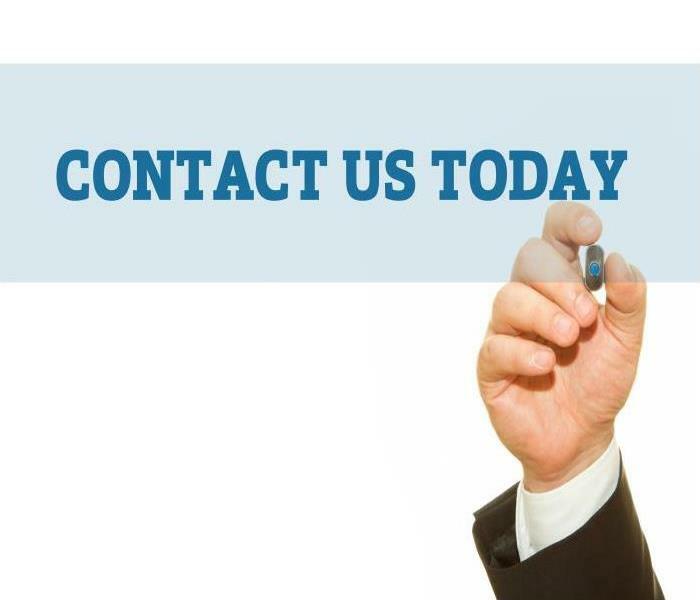 You can reach us at (843) 577-2470 any time. We’re Faster To Any Size Disaster. Discover why Charleston continues to earn the affection of locals and visitors click here. If Mold Plagues Your Charleston Home, You Need To Call A Professional Restoration Company! If a leak causes mold damage inside of your kitchen, always get help immediately. The constantly leaking dishwasher inside of your kitchen can eventually cause mold damage underneath the cabinetry around the device. At times, it may be tempting to push off a problem until a little later, whether it is because you forgot about it or finances are tight. No matter your reasoning, it is never wise to continually expose your kitchen floor and cabinetry to excess moisture. While you may mop it up every time the dishwasher leaks, or even place a towel down in anticipation, those measures cannot protect your kitchen from water damage. As the omnipresent mold spores begin to feed off of the excess moisture, a colony can begin to take root and grow. Finding mold damage inside of your Charleston kitchen may seem like another problem that you can set aside for the time being. However, the opposite could not be more accurate. Mold damage can cause health effects and impact every individual who lives inside of your home negatively. Furthermore, mold can cause decay in organic materials over time, such as the wooden cabinetry inside of your kitchen. Because of the various damages mold can cause, it is imperative for you to call for help as soon as possible after finding it. SERVPRO has an excellent reputation for being swift, skilled, and friendly, which we uphold with dignity. It's always our goal to leave our customer feeling happy. Our team is filled with IICRC-certified technicians, and SERVPRO always uses advanced equipment to solve your mold damage problems. When SERVPRO arrives at your property and investigates the mold damage, we can swiftly make a plan to remediate. To reach all of the mold damage, we can uninstall your cabinetry and clean it thoroughly with a disinfectant. Now that your dishwasher has been fixed, and is no longer needed, water damage should no longer be a concern, but to prevent regrowth, we can use an antifungal agent on the floors and cupboards to ensure that regrowth cannot occur. To remove the musty smell from your kitchen, SERVPRO can use an air scrubber to remove active mold spores from the air, as well as the very particles that cause the malodor. If a leak causes mold damage inside of your kitchen, always get help immediately. Speak with a representative of SERVPRO of Downtown Charleston by phoning (843) 577-2470. Night or day, our techs are always ready to rush to your aid. Click here for more about Charleston. Office buildings can easily be seen all throughout Charleston. With so much valuable and sensitive information contained in every one of these facilities, it is no wonder that many of them have state-of-the-art security systems and even guards to monitor nighttime activities. One thing that your security system cannot protect these files and valuable equipment from is water damage from an unexpected break, however. Water damage to your Charleston office building does not have to be an overwhelming and traumatic event, so long as you already know whom to call and whom you trust to get the place back in order quickly. Our SERVPRO team has a long-standing history of restoring water damage in commercial properties, and we have the tools and experience to do the job efficiently and to do it right. From the moment that our crew arrives on the scene, our assessment process begins. The objective here is to determine the source of the water damage and to keep this situation from getting worse. Once the source of the water has been repaired by us if minor, or stopped, restoration of the affected area can officially begin. Depending on the severity of the situation, water extraction efforts might be the first step in the plan. Typically for water that is not pooling heavily, portable pumps and wet-vacs suffice for water extraction. Drying the area is the next step, as this completely removes all of the moisture and allows for a more thorough look at potential structural damages and areas in need of repair. Drying is typically done using a combination of air movers and dehumidification equipment. To ensure that all of the water has been dried out, thermal imagery might get employed to survey inside of walls and under flooring for wet spots. These are areas that cannot get seen with the naked eye, but leaving the moisture could later result in mold growth. Our SERVPRO team commits itself to working quickly and thoroughly to mitigate your losses. From your out-of-pocket expenses or the time that your doors have to remain closed to the clients you serve for our restoration process to occur, our IICRC certified technicians work to make it as easy as possible for you. If your office building has a water emergency, give SERVPRO of Downtown Charleston a call. Our rapid response team of certified restoration specialists can be reached anytime by calling (843) 577-2470. SERVPRO uses various types of extraction equipment to remove water in your home during the restoration process. One of the most important things to remember when dealing with water issues on your Charleston property is to take quick, decisive action. Every minute that you spend deliberating can lead to additional damages that make the possibility of successfully restoring your home, harder. Contacting a qualified water removal company in Charleston gives you access to professionals who understand how to extract water from your home correctly. With the proper personnel, resources, and equipment, your water removal company can make multiple passes to ensure proper water removal and quick drying of the structural components of your home. SERVPRO professionals take water removal seriously, using various types of extraction equipment to remove water from flooring, furniture, and other contents found in your home as quickly and efficiently as possible. It is a part of our job to make IICRC-industry certified technicians available who understand the water removal process and work hard to put training and experience to work for you. SERVPRO technicians use both portable and truck mounted extractors that make removing water found on your property quicker. The entire extraction process involves putting the three major components, the heater, pump, and vacuum system, to work for you. Our technicians choose the right extraction tools for your circumstances while maintaining the delicacy necessary to protect your property. Your local SERVPRO is an independently owned and operated company, offering a variety of water removal, cleaning, and restoration services throughout the area. We use infrared moisture detectors, hygrometers, dehumidifiers, air-moving equipment, and advanced drying and cleaning techniques to restore your property, personal belongings, and living environment to a quality pre-water damage condition that you and your family can enjoy. 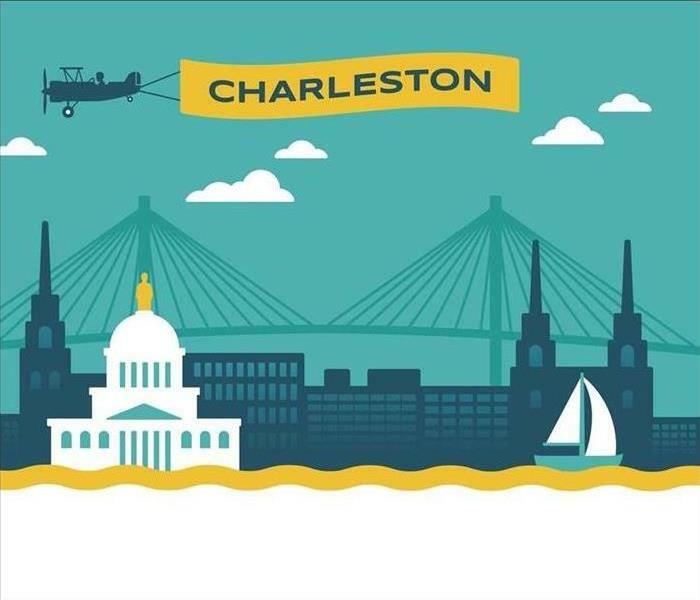 Click here for more information on the city of Charleston. SERVPRO of Downtown Charleston is ready to handle all of your fire damage restoration needs. Since Charleston homeowners do not expect or predict when disaster might strike, there are often common functions of the house that can exasperate the spread of the damage from an incident like a fire. With conditioned or heated air being a staple to nearly every home in the area, circulating air throughout your home is something that happens almost continually. Whenever situations like fires take place, a running HVAC system can become adversely affected and become instrumental in spreading damages like soot and smoke residue to otherwise unaffected areas of your property. One of the hardest obstacles to overcome after a disaster like this in your Charleston home is your need for fire odor control. Smoke damage can seep into materials, fabrics, furniture, and much more. We have many pieces of equipment that can help to eliminate these harsh odors permanently from your home, and we also have specialized areas and tools at our facility to deodorize contents of your home removed during the mitigation phase and pack-out process. Our SERVPRO professionals work to respond immediately to your emergency with the necessary mitigation to help protect the contents, furniture, and affected items within your home. These often get taken to our nearby facility for focused cleaning and deodorization efforts. The most effective approach for many of these items is time in an ozone chamber. This special compartment of our facility adds air with added oxygen to neutralize odor molecules in the items we have placed inside. This practice, even in portable units, is not safe for use around pets and your family, however. To remove noxious fire odors in open areas and permanent fixtures throughout your damaged property, our SERVPRO professionals can combine the use of hydroxyl generators and thermal foggers. If there are no people or pets present in the home, ozone generators can also be a practical solution for deodorization in your home. Restoring your home after a fire requires addressing lingering odor concerns throughout the house. 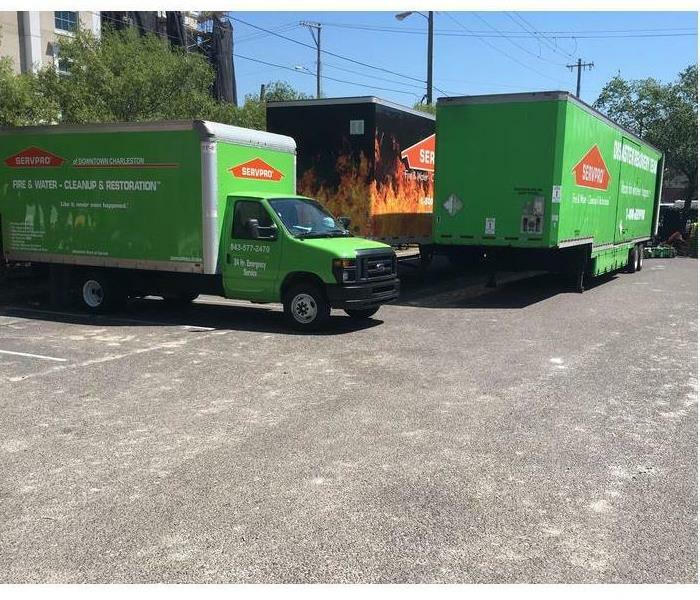 Our SERVPRO of Downtown Charleston fire restoration specialists have the tools and expertise to help. Give us a call anytime at (843) 577-2470. Our team arrives quickly and has the right equipment to handle your water damage restoration process. Call us anytime we are available 24/7. Leaking or burst pipes can leave you with a massive restoration bill if you do not take the right steps. Part of taking the right steps is a swift response because leaving standing water in your property for long leads to further deterioration. As an IICRC certified restorer we are conversant with ASD, Applied Structural Drying, so we use the most suitable approaches to remove water from your Charleston Property. The amount of water damage into your Charleston property may determine what steps to take for efficient water removal. Water that covers most of the rooms can take days to remove, and dry all affected areas thus requiring the occupants to move out. Our SERVPRO technicians rely on high capacity resources such as truck-mounted water extractors to quicken the restoration process reducing the time people spend away from their properties. Water spills can soil your property necessitating through cleanup. Some likely sources of such soiling include food remains and detergents if the leak originates from an appliance such as a dishwasher, and dyes from non-colorfast fabrics. Failure to clean the properly can lead to serious problems in future including stains and bad odor. Our SERVPRO technicians combine the use of tools and professional cleaning agents to clean affected areas to sanitary levels. For example, the heating capability in our water extractors helps ease the cleanup process. After removing all standing water, there is a need to dry any excess moisture left in materials. Drying can take a long time because it works through evaporation. Our SERVPRO team takes different approaches to expedite evaporation. One option is to run air movers in the wet areas increasing the evaporation rate. We also use plastic sheets to create smaller sections in large rooms which help reduce the volume of air that runs through dehumidifiers for moisture extraction. 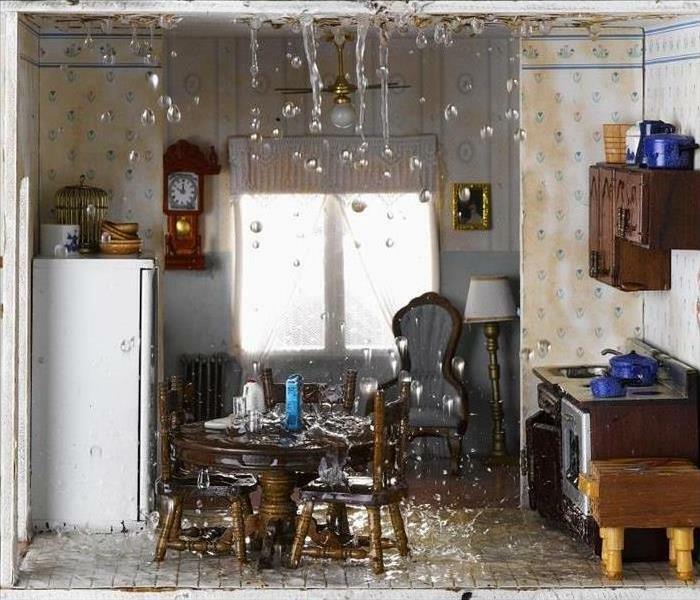 Working with a professional restorer helps you control the outcome of water damage. Call SERVPRO of Downtown Charleston at (843) 577-2470 to help restore your property. We’re Faster To Any Size Disaster. For more information on the history of Charleston click here. If you even suspect that you have mold in your business please call our experts immediately. We are available 24/7 and have the right equipment. Your Charleston delicatessen is one place that is always getting foot traffic at all hours of the day. While you offer premier cuts of meat and prepare sandwiches to tailor to the lunch crowd on the go, you might not always stay aware of areas of your business that might not be in the best shape. 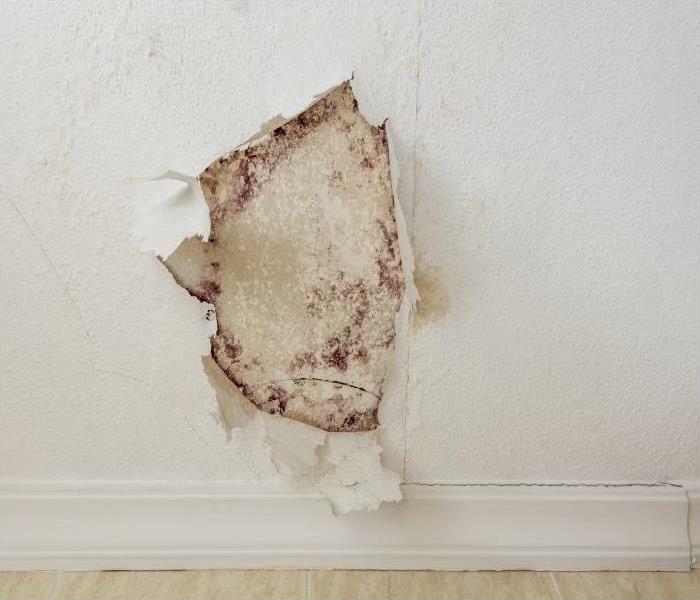 Structural compromises can lead to moisture and water penetration, and persistent dampness can allow for mold growth to occur in as little as a few days. 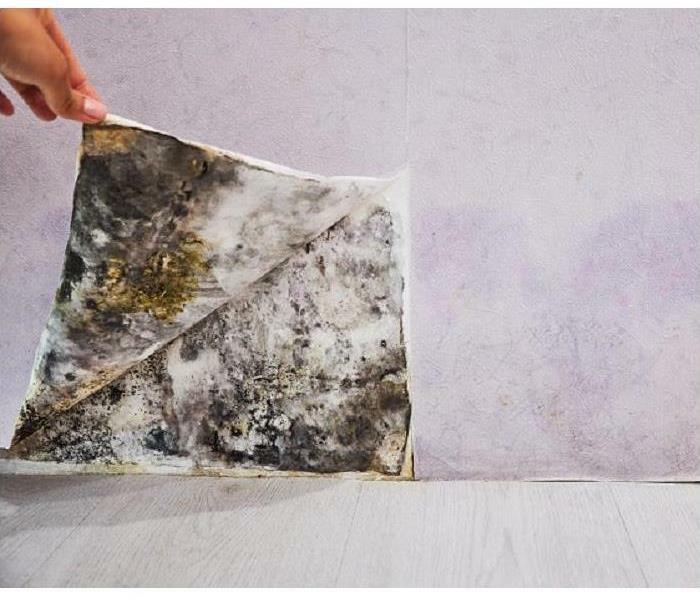 While you might find that there would be time for you to identify a potential problem in your Charleston deli before mold damage occurs, it is more challenging to spot than you might think. Many problems that result from penetration in exterior walls begin within the wall cavities, so mold colonization could occur without you even knowing you have moisture concerns. The best solution is to reach out to our SERVPRO mold remediation specialists to get efficient and effective help right away. From the time that our professionals arrive at your deli, we can identify all of the present moisture in the walls of your building to begin isolating the damaged areas and working to dry out the affected regions. Containment of the mold can help to prevent the spread to new areas while our technicians work to remove the active colonization that we find. Our SERVPRO team appreciates the knowledge that you have to shut down to your customers for the time that this remediation gets underway and until you can pass certain health code tests to reopen again. We work efficiently and quickly to ensure that we can remove the threat and restore indoor air quality to limit the time that your doors stay closed to the community you serve. 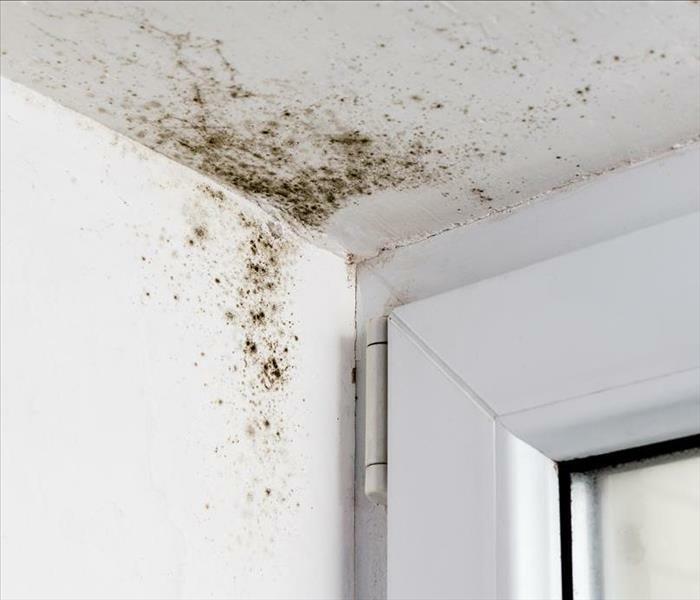 The discovery of mold might put the brakes on your business, but with the right professional help, you can remove this threat and return to serving your customers quickly. You can count on our SERVPRO of Downtown Charleston mold remediation specialists to remove the colonies and restore the damage that has occurred promptly. Give us a call anytime at (843) 577-2470. Click here for more information on the city named America's favorite destination. Don't Wait To Repair Your Flood Damaged Home In Charleston, Call The Professionals At SERVPRO! Give our SERVPRO of Downtown Charleston contractors and restoration specialists a call today! Charleston residents have grown accustomed to the rapidly changing temperament of the weather, including its persistent threat of becoming violent. Even though many homes have suffered damages at the hands of some of the more powerful systems that have come through the area recently, many resolved to repair these damages on their own and in doing so, left their property vulnerable to further damages. With vulnerabilities in your exterior defenses, homes become susceptible to flooding and water damages. Roof and siding damage are among the most common lingering concerns that can allow flood damage to affect your Charleston property. While repairs like this can be costly, especially when many homes throughout the area require similar assistance, avoiding it allows the problem to worsen continually. 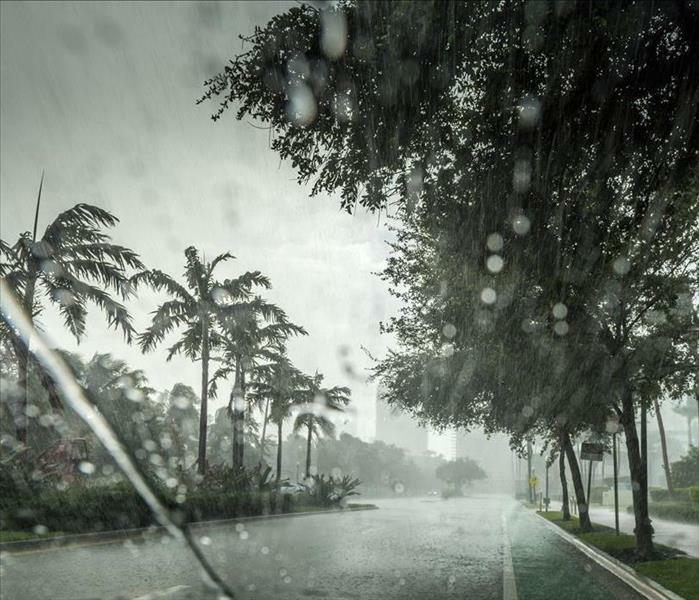 Once torrential rainfall occurs again, this weather along with the subsequent runoff your roof can expect allows a steady flow of water into your house. Our SERVPRO team can arrive quickly to provide emergency board up services to prevent further penetration, but even with our rapid response, the effects are often already widespread. Board up services and tarping like our emergency team can provide are only a temporary solution designed to allow our mitigation team to get to work on protecting your property as best as we can. Repair of the damage must occur for the restoration to complete, as much of the work that our SERVPRO team performs to return your house to original condition relies on the source of the damage getting repaired fully to prevent recurrences. Extraction plays a critical role when flooding occurs, as this allows our technicians on site to see the full scope of the damage while we set up drying equipment. With a Category 1 loss like this, many of the affected materials can often get preserved and protected if our team gets contacted quickly at the initial signs of flooding. While you might be in the group of homeowners that can appreciate saving money and taking repairs and restoration into your own hands, the longer that your home sits storm-damaged, the more likely situations like flooding become. Give our SERVPRO of Downtown Charleston contractors and restoration specialists a call today at (843) 577-2470. 3/26/2019 - If Mold Plagues Your Charleston Home, You Need To Call A Professional Restoration Company! 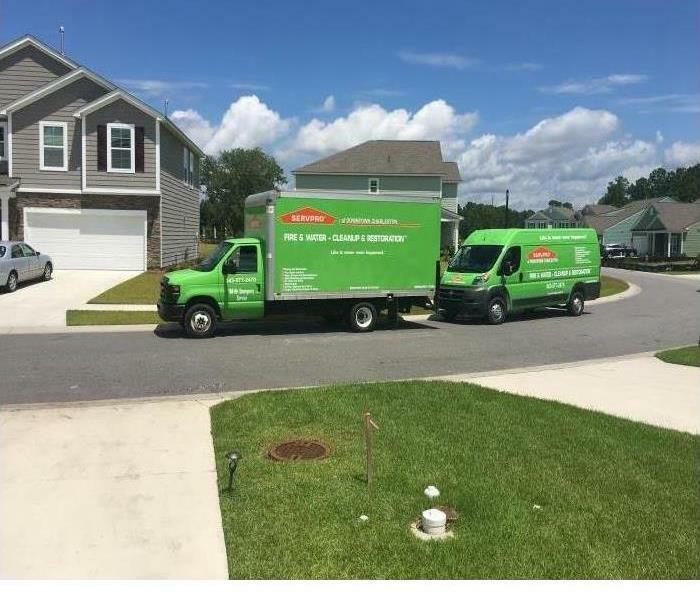 2/13/2019 - Don't Wait To Repair Your Flood Damaged Home In Charleston, Call The Professionals At SERVPRO!